Robert O. Taube, 95, of Rock Island, passed away Monday April 8, 2019 at Rosewood Care Center, Moline. A Memorial service will be 2:00pm Saturday at Immanuel Lutheran Church, Rock Island. The family will greet friends from 12:00pm to service time at church. Inurnment will be at a later date in Oakwood Cemetery, Geneseo, IL. Memorials may be left to Laborers for Christ, Ghana Harvest or Immanuel Lutheran Church. Robert was born on July 19, 1923 in Geneseo, the son of Albert and Hulda Maetzold Taube. 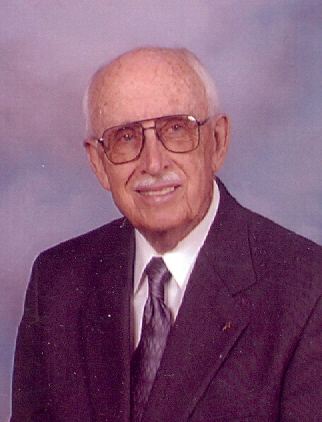 Mr. Taube was a graduate of Geneseo High School in 1941 and later Iowa State College in 1951. Robert was a United Sates Navy Veteran having served 3 years in the South Pacific during World War II. He married Bernice Elling on January 28, 1951 in Concordia Lutheran Church, Geneseo, she preceded him in death in 1997. He later married Jo Ann Van DeVeire on July 14, 2000 in Immanuel Lutheran Church, Rock Island. Mr. Taube had been employed at John Deere Plow Planter, Moline as a design engineer, retiring in 1982. Robert was a member of Immanuel Lutheran Church, Rock Island since 1959, where he served as an officer, sang in the choir and was the last member of the F Troop. He also participated in the Maple City Band, Geneseo, New Horizons Band, Davenport, CASI Band and numerous other bands throughout the area. Survivors include his wife, JoAnn of Rock Island; daughter, Rev. Ellen Taube of Virginia, MN. ; brother in law, Alan Bamsey of Rock Island and many nieces and nephews. He was preceded in death by his parents, Albert and Hulda; first wife, Bernice, and all his siblings.